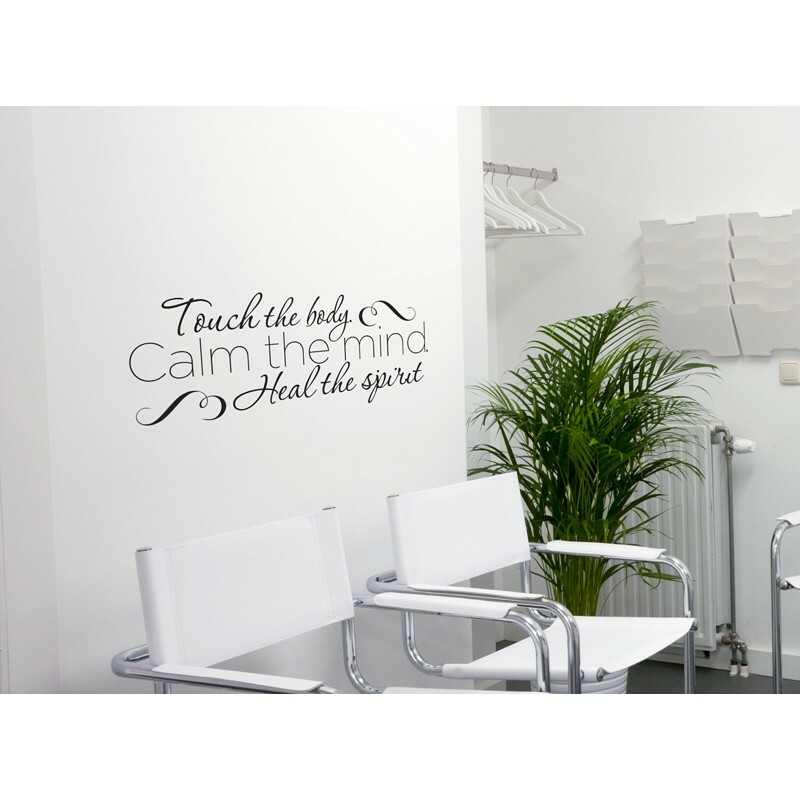 > Massage Therapy Vinyl Decals>Heal the Spirit Decal - 30" x 11"
Heal the Spirit Decal - 30" x 11"
Available in black or white vinyl, this 30" x 11" massage therapy decal is a perfect poster alternative that will spark conversations with your patients. "Touch the body. 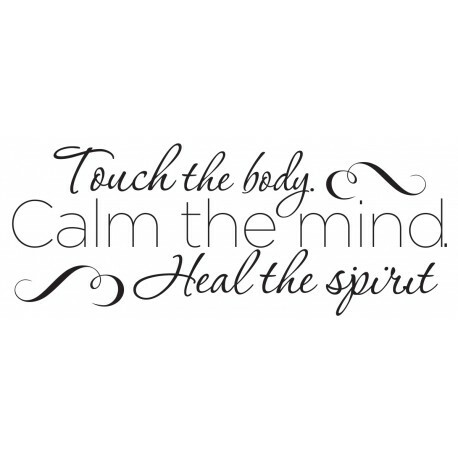 calm the mind. 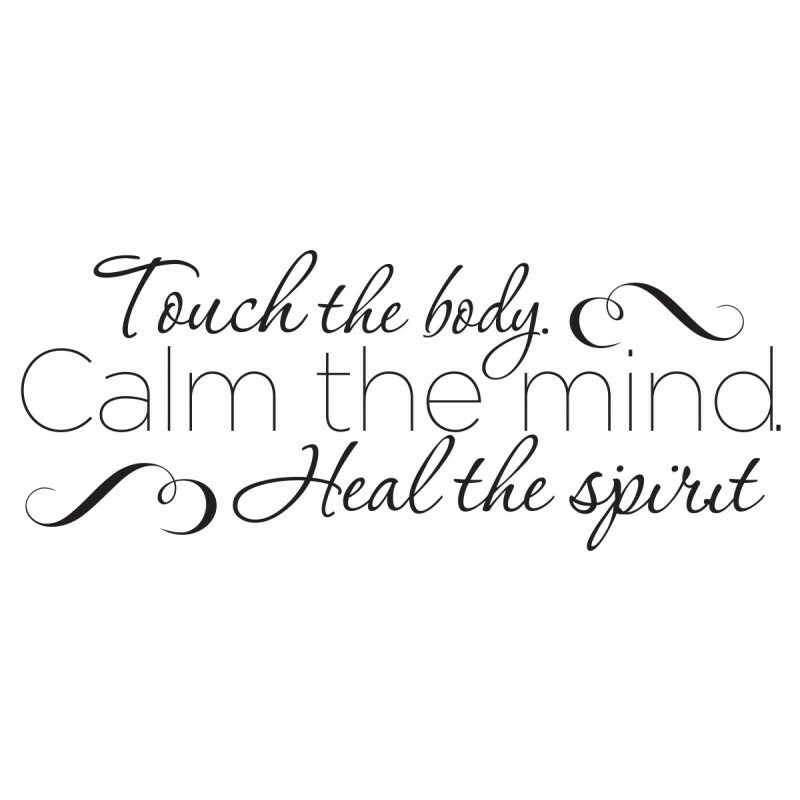 heal the spirit."